1936 Packard Other in Tyrone, GA for sale. 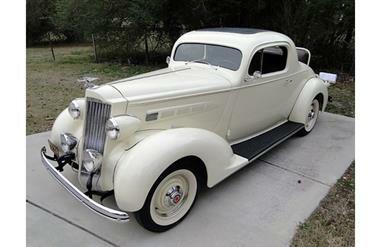 Packard 120 Coupe. This coupe has the flat 8 cylinders and high compression head. Completely restored in the past few months by a professional restorer. New original color paint Packard Cream, New chrome bumpers, stainless, and wiring harness, interior very nice. Clutch, and brakes smooth no chatter. Transmission shift very smoothalso. No play in front end or steering no fluid leaks. Everything works like it suppose to. You will love how this car runs and drives.